Screenshots and afterthoughts after the break! Again, screenshots courtesy of Hatsune Miku's official Facebook fanpage. Kagamine Len performing Migikata no Chou! Megurine Luka performing Just be Friends. Hatsune Miku and Megurine Luka performing World's End Dancehall. Kagamine Rin performing Kodoku no Hate. Kagamine Rin and Hatsune Miku performing Promise. 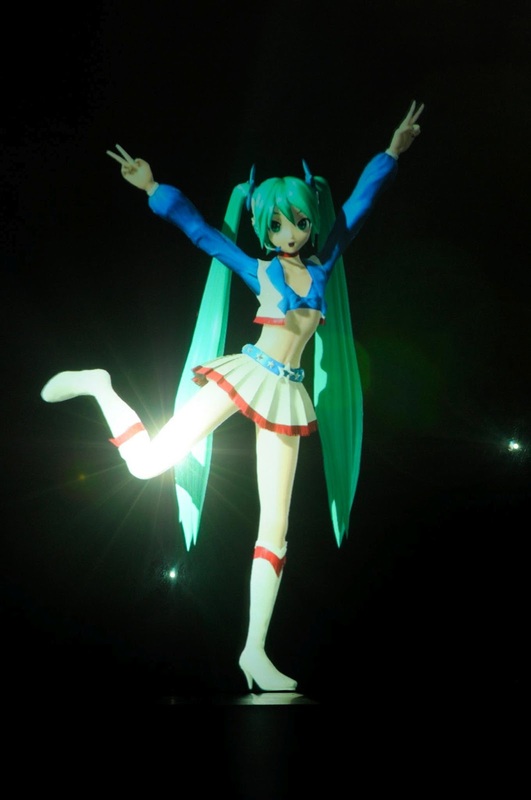 Miku performing World Is Mine.